One of the perks of running Disney? The celebrities!!! Of course, the answer is always — definitely!! If you have a chance you really need to runDisney! So far this year I’ve run in 4 of 7 events and plan to run in the other 3. I had decided a few years ago the for the year of my 50th birthday I should do something *big* — like complete one of a whole series of running events. I initially planned to run the Rock n Roll series, but at that time they only had something like 9 or 10 events. Now, well, just too many for me to feasibly do in a year. 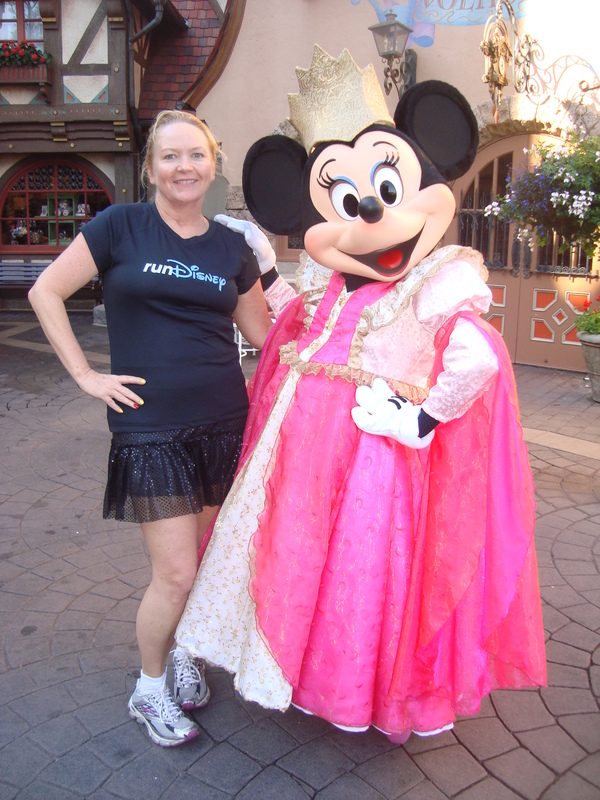 Around the same time, I discovered runDisney and ran in the Princess Half Marathon – what fun!! Then, a couple of years later, I was going to be at Walt Disney World with my brother and his family and it just so happened that our departure day was the day of the WDW Half (The Donald!) so I figured “hell, I’m gonna be there anyway…” and registered. About a week after finishing I started thinking “this Goofy thing would be a lot of fun”! My Marathon Weekend Bling! 5K, Half, Full and the coveted Goofy!! 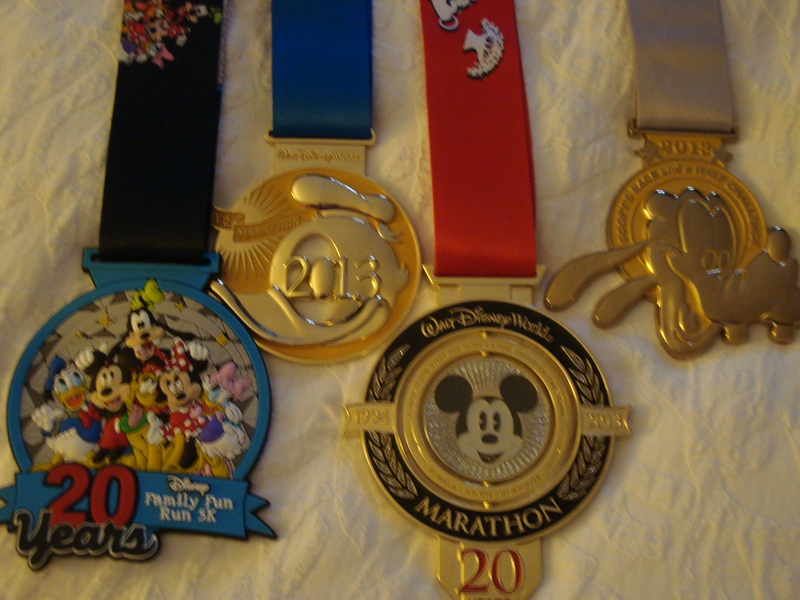 And I’m already thinking about doing the new “Dopey” (Goofy Challenge plus a 5K and a 10K – 4 races in 4 days!!) in 2015. 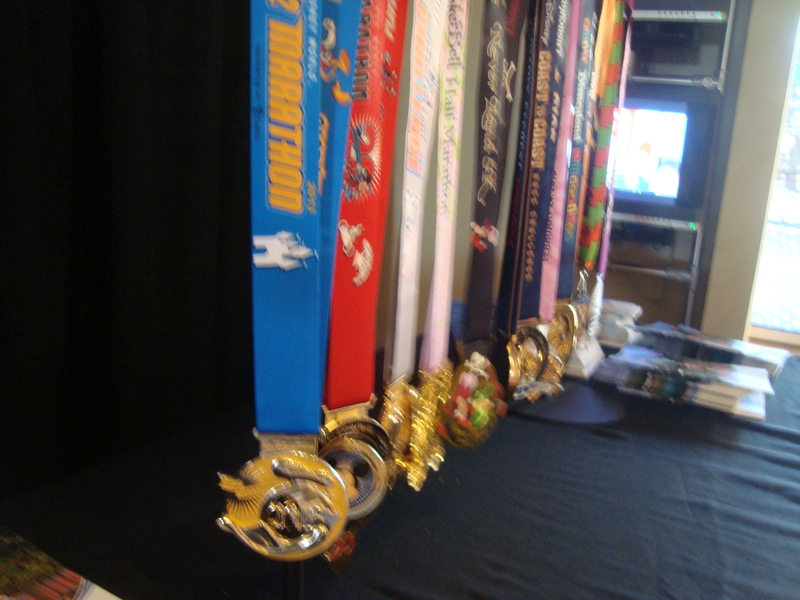 This coincides with the 10th anniversary of the Goofy which means some serious bling!! Soon these will ALL be Mine!!! Bwahahahah!! ← Well, That Wasn’t So Bad….